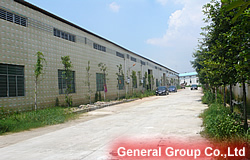 You are visiting the outstanding manufacturer of inflatable water slide. 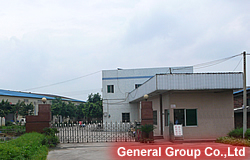 we dedicate to make the most popular water slide in the world.Since 1996, General Inflatables has been the top inflatable manufacturer in China Integrating Producing, Research and Development, Sales. Our annual revenue is increasing every year by 10%., and it has been reached to 8 millions in 2005. All of our inflatable products are produced according to the ISO Quality Certification and have achieved CE and UL series of certification. Our experienced staff of artisans have enabled us to be recognized as one of the premiere builder of Inflatables worldwide. 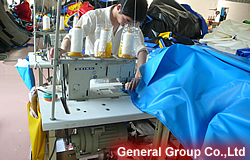 On the purpose of becoming the first-class Brand inflatable manufacturer in the world, General Inflatables provide the best professional inflatables and high-quality service. We has been successfully exporting inflatable products to more than 100 countries world-wide, including many amusement parks, Fortune 500 members such as Benz, Pepsi, McDonald and others. General Inflatables makes your dreams come true. We can produce according to your imagination. You just need to send us the sketch by e-mail or fax. With high technology, we can do others can"t do. With low price, we provide best service and quality. If you are interested in any of our inflatable products, just contact us. 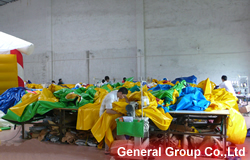 General Inflatables welcome your inquiry and look forward to cooperating with you. Welcome to browse our products, it is our honor that we have the chance to provide the best inflatable water slide and service for you.Click on it, General Inflatables will inflate your life.